Get ready to round up your best herd when you advertise in advance with Rodeo Rustic Posters. 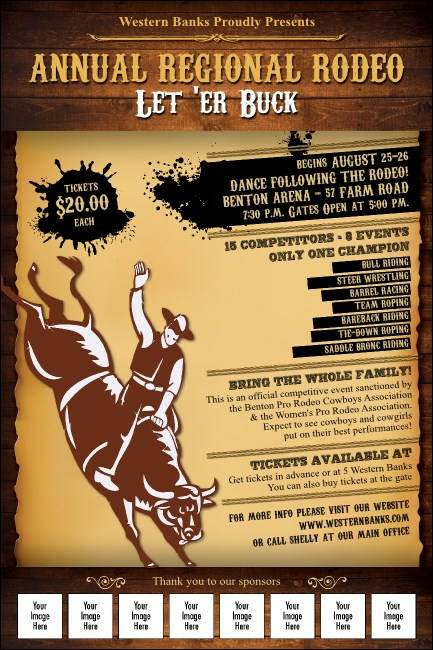 Put the spotlight on your rodeo event sponsors when you upload as many as eight of their logos on these Poster templates that feature a country background along with the image of a brave bull rider. TicketPrinting.com helps you steer your horse straight.